With the newly anointed administration of U.S. President Donald Trump signaling a business-friendly environment, Apple Chief Executive Tim Cook said he's hopeful that his company will be able to finally bring some of its massive $231.3 billion cash hoard back home at a reasonable tax rate. Apple has long been a proponent for a so-called "repatriation holiday" that would allow companies to bring overseas cash back to the U.S. without significant tax penalties. Under a Trump administration, that might become a reality. Asked about Apple's overseas cash during his company's quarterly earnings conference call on Tuesday, Cook said he's hopeful that something could occur as soon as this year. He said he's seen signs from both Republicans and Democrats that they might be agreeable to more lenient tax policies for bringing funds back to America. Such a move would be "very good for the country, and good for Apple," Cook said. 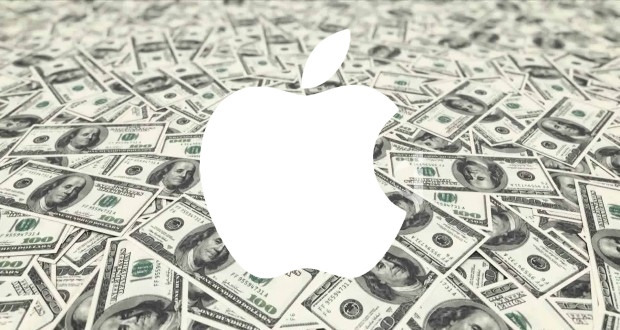 Apple revealed on Tuesday that it has a cash position of $246.1 billion, with 94 percent of it held outside of the U.S. That means some $231.3 billion are overseas. As for what Apple might do with the cash, Cook was asked about acquisition possibilities, as well as a growing interest in original content. Unsurprisingly he didn't offer much in the way of specifics on the former, but did delve on Apple "putting their toe in the water" on the latter. The CEO noted that Apple will be rolling out new original content under the Apple Music umbrella throughout the year. He said that the company is "learning from that," and plans to see where it goes.